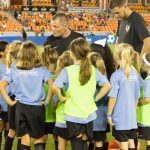 The Dash City program is designed to give extended opportunities to the best competitive female players born in 2008 and 2007 from the Houston Dynamo Dash Youth Soccer Club. Dash City is the foundation of identifying the best talent within the club that has the potential to play at the DA or FDL level. 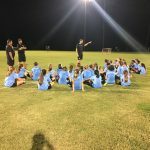 This gives excelling competitive players from each Dynamo Dash Youth location the opportunity to train and play with players at and above their level of play. The City program is invite only participation. Players are recommended to the program by their location Head Coach or Director of Coaching. The program is not mandatory therefore players do not have to accept the invitation. We do recommend that players that have a desire to play at a higher level should actively take part when selected. All invited players will have the opportunity to earn a spot on the 2018- 19 Dash City roster that will travel to events over the year. Players will be evaluated on their ability to dominate and excel in the four pillars of the game that can be seen in the graphic to the right. The final City rosters that will attend the selected events will be formed by November 4, 2018, after the conclusion of the final evaluation practices. Michael Openshaw is the Director of Coaching for the Dash City program and can be contacted using the buttons below. What is the cost of the Dash City Program? 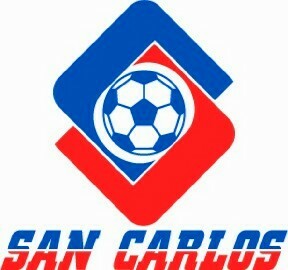 What are the next steps if I am not selected for the Dash City teams? 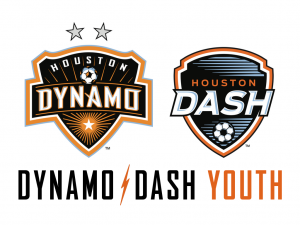 Players are encouraged to strive to excel in their home Dynamo Dash locations. Further Dash City training sessions will be scheduled throughout the year where players will be re-invited to attend. 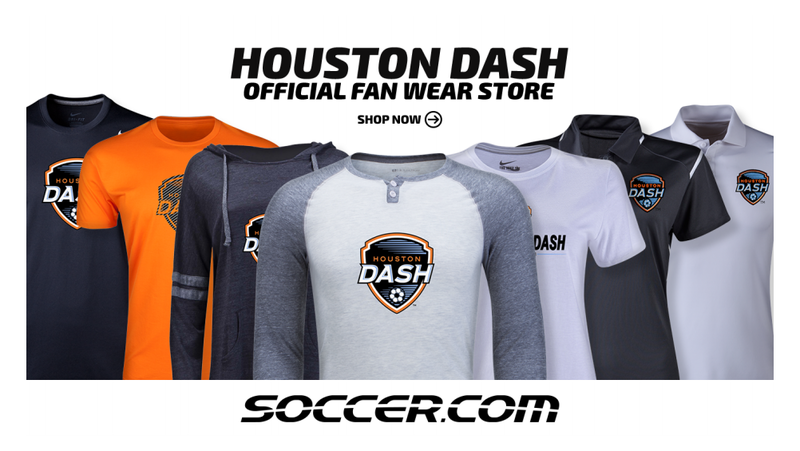 How can I attend the Dash City program if I do not play for Dynamo Dash Youth? The club took the U16/17 and U18/19 Boys Development Academy to the Winter Showcase at the Premier Sports Campus in Lakewood Ranch in Florida, November 28 – December 4, 2017. “The club gets to compete against the very best in the country with first class facilities over a five day window. So from a developmental perspective it’s a great challenge for the players. 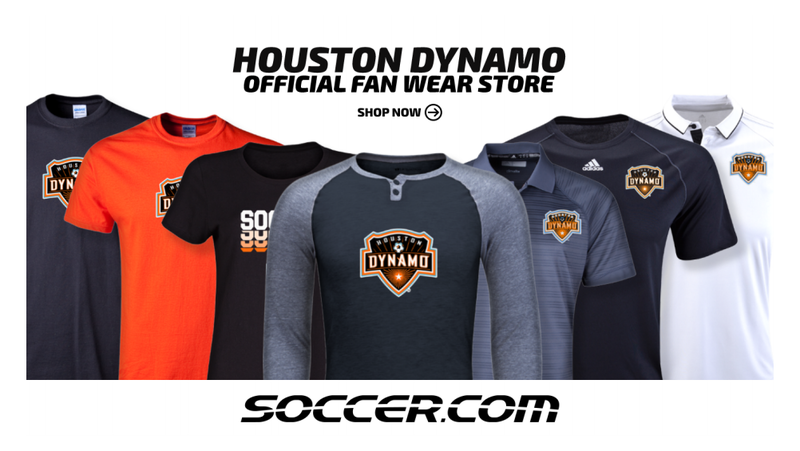 It’s also a great opportunity for all our prospective student-athletes to play in front of hundreds of college coaches and professional scouts.” Alex Cardenas, Head Coach, Houston Dynamo Youth U18/19 Boys Development Academy. “The opportunity for the players to play at this event is truly a wonderful experience. The facilities provided along with a captive audience of college / national team coaching staff allows the player an ideal opportunity to be seen competing on a national level. The very best players are all in attendance and it’s a great way to close out the fall season.” Steven Grave, Head Coach, Houston Dynamo Youth U16/17 Boys Development Academy. Multiple teams across the club were participating in the following events this last weekend: Copa Rayados, The Woodlands, TX; Boys College Showcase, Austin, TX; Texas Cup Invitational, Dallas, TX; Disney Girls Soccer Showcase, Orlando, FL and D’Feeters Showcase, Dallas, TX. “It was a very busy five day period over the Thanksgiving break with multiple teams playing in Houston, Dallas, TX & Orlando, FL. 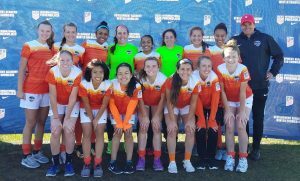 The club will continue to provide opportunities for our players to showcase their talents in front of college coaches against domestic and international opponents. Whenever you can face different competition, it’s always positive for player development and it provides new challenges. “ Stuart Fitzsimons, Director of Coaching – Competitive. 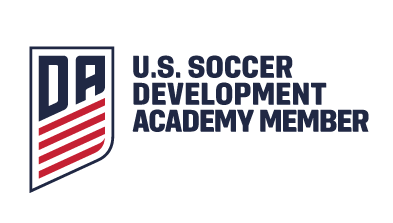 The Development Academy showcase events bring together clubs from all over the country to compete in a series of highly-competitive, hand-picked games. The Fall Regional Showcases are the first events for players in the Academy pathway, catering to the U-13 and U-14 age groups. Showcase events are also held in the Winter, Spring and Summer. The Fall events put younger age groups solely in the spotlight. “The Development Academy Regional Showcase provides an early stage for our U13’s and U14’s. 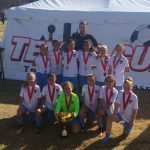 It gives them experience in the early stages of their development on a national platform, against national competition.” Brian Cvilikas, 04B Head Coach. 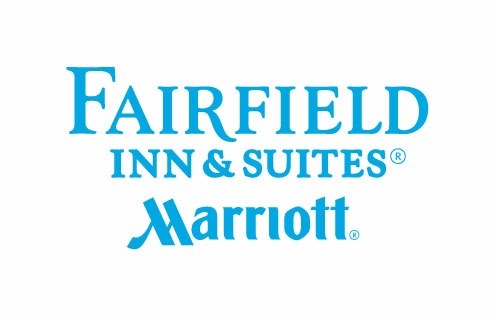 The Central Conference Boys Regional Showcase brought in thirty-four teams from three conferences, the Mid-America (Illinois, Indiana, Michigan, Minnesota, Missouri, and Ohio), Frontier (Texas), and Sunshine (Florida). Ten clubs affiliated with MLS sides attended the Showcase: Chicago Fire, Crew SC Academy, Crew SC Academy Wolves, FC Dallas, Houston Dynamo, Houston Dynamo Youth, Indiana Fire Academy, Minnesota United FC, Orlando City SC and Sporting Kansas City. Teams played three games during the Showcase. Games at Showcase events are hand-picked by Academy staff to ensure the most competitive match-ups. Academy Showcase events have become a haven for scouts from US Soccer as well as from the professional and collegiate ranks. 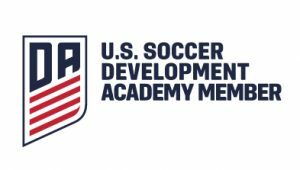 Ninety-two percent of Men’s Youth National Team players during the 2016-17 cycle came from Development Academy clubs. 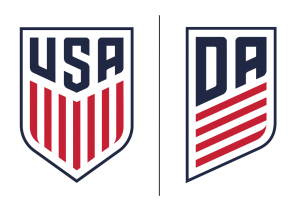 Every game at the Showcase will be scouted by Development Academy Technical Advisors and US Soccer scouts. 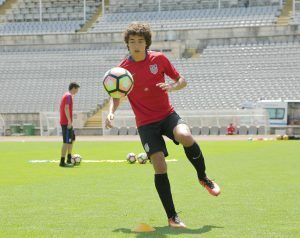 Eighteen of the twenty-one players on the US U17 National Team at the ongoing FIFA U-17 World Cup come from Development Academy clubs. 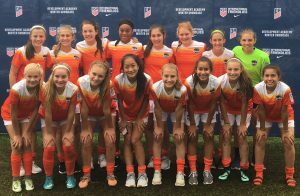 While the Showcase moves the U-13 and U-14 players through the early steps of the talent identification pipeline, the trip / event also contributes a progression in their player development pathway. 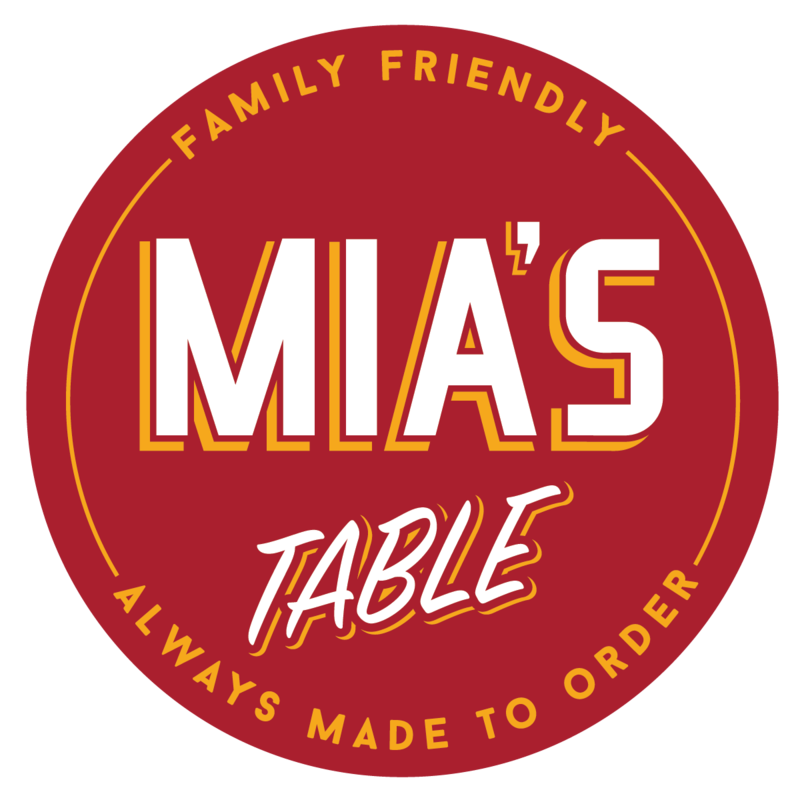 A longer journey means that it’s one of the first times that players are on the road without their parents, giving them a chance for team-building and a taste of growing to be a pro. “We played competition from Florida, Illinois, Indiana and Ohio. The event and competition provided great scouting opportunities and development for our players both on and off the field.” Brian Cvilikas, 04B Head Coach. “The Fall Showcase is a great opportunity for our players to get a sense of what they are competing against nationally. 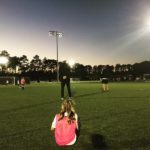 This was the first time in this environment and for the most part we were pleased with the players response.” Dave Dengerink, Boys Development Academy Director. “I am so humbled to be selected to play at such a great program as well as to compete in an outstanding conference. 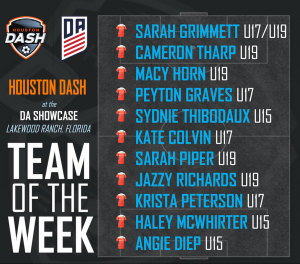 All thanks to Texas Rush and everything they have done for me.” Koby Carr, U18 Houston Dynamo Youth Soccer Club DA Boys (formerly Texas Rush). “It’s superb to see that Koby was recognized as one of the top recruits in the country to go to Wake Forest University by Top Drawer Soccer.com for the 2018 graduating class. He continues to work hard and we look forward to having him play a pivotal role this coming fall season.” Alex Cardenas, U18 Head Coach, Houston Dynamo Youth Soccer Club. 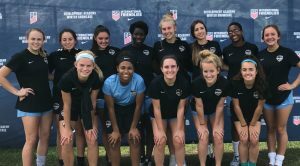 Sarah Piper (U18 Girls Development Academy, Houston Dash Youth) recently traveled to compete for the US U18 Women’s National Team in Australia playing three games (Canada U20 WNT, Australia U19 WNT ) which was part of their training camp itinerary. Please click here for the full release. “With the addition of a few of the 99s and a 98 to the team this trip, it was fun to be able to meet new people and to be able to learn from a few older girls! 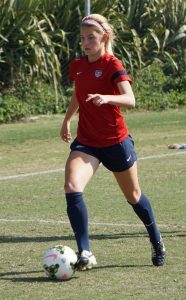 It was a good taste of what college will be like so that got me very excited to compete and perform.” Sarah Piper, U18 US WNT/Houston Dash Youth. 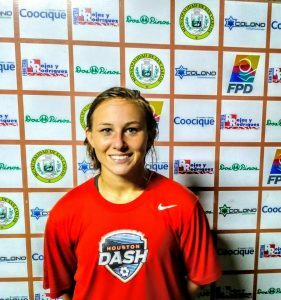 “The Dash is extremely proud of Sarah and very happy she continues to be called up to represent the USA in training camps and International competition. Sarah will be a key player this year for our oldest age group in the new Girls Development Academy. 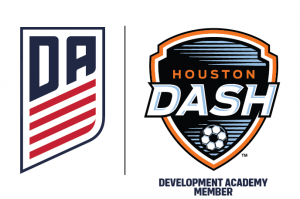 Our Dash DA program is the only Houston based girls club in the new US Soccer league and that connection will open the door for many more Dash players to have the same great experiences as Sarah.” Nick O’Shea, Director of Coaching – Girls DA. On international trips I always learn a lot more about the game tactically than any other side. We focused a lot on our scouting reports of Canada and Australia, but also had meetings on how we were going to be able to beat their formation, style and speed of play. A little piece of culture was fun as well— we got to see wild kangaroos in person on a hike we went on which was probably one of my favorite parts of camp off the soccer field! Being able to compete with some of the best girls in the country at my age is always a pleasure — but this time being with a few older girls was cool to be able to learn from each other a little bit more. It is always fun to meet new people, but also to get closer with all of the girls I’ve gone to camps with since I will be playing them later on in college as well! I think I have such a great time at camps because we are able to make mistakes. A lot of the mistakes that we make are looked at by the coaches and by each other to see how we can learn from it and make the team better rather than just ourselves. This year in the DA should be a great experience for all of us to be able to learn from the pro players and at times even train with them as well! It’s also great how the focus for the DA is the training rather than the games since you should train everyday like you’re playing a game– tactically and with your speed of play.